The CI Centre has over 50+ already-developed commercial off-the-shelf (COTS) training courses and briefings which can immediately be provided to your organization. They are conveniently on the GSA Schedule for quick, easy and immediate ordering at the best price already negotiated by the US Government. Since 1997, we have provided this training to over 70,000 Intelligence Community, Military, Law Enforcement and Corporate clients—and have consistently received the best course feedback by these attendees. We can provide the courses at your organization's location or at a third-party facility. Your employees will benefit by learning directly from our world-class team of experts who each have 25-40+ years of real-world experience and expert knowledge to share in the counterintelligence, counterterrorism, investigations and security fields. As a manager, you will benefit from the rave course reviews, increased interest and buy-in to CI, CT and security, and a valuable workforce that is more aware of potential threats. 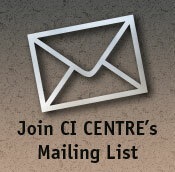 Plus, the CI Centre is a turnkey company, meaning you can let us handle everything from registration to certificates. Let's talk about how your organization can receive immediate, needed training by scheduling one or more of our courses and briefings for your employees. Call us at 1-800-779-4007 or 703-642-7450 or use our Contact Us form. CI Centre's Commercial Off-the-Shelf (COTS) training courses taught by our expert instructors offer significant savings in procurement and maintenance to federal/state/local government and corporate organizations and we offer easy and efficient ordering. • Our COTS training courses have already been fully designed and developed. Your organization does not pay for the design and development costs because these are COTS courses. • Our instructors are ready to deliver them to your organization—right now. You don't use your own time, personnel and resources. • Our COTS courses are proven, successful entities, many of which have been delivered since 1996. You are purchasing a vetted course whose feedback from attendees has been consistently positive. • The information in COTS courses are kept up-to-date by the CI Centre. Your organization is not charged this maintenance. • Courses can be delivered by our expert instructors at our facility in Falls Church, VA (outside Washington, DC), at a third-party facility or we can come to your location (travel expenses may apply). • With set prices for the COTS courses, ordering is quick, easy and efficient. No need to write or issue Statements or Work, Request for Proposals or Bids, or conduct surveys—GSA has already negotiated the best price for the US Government. GSA Contract Number: GS-02F-0210R. Schedule 874 Mission Oriented Business Integrated Services (MOBIS) under name of parent company David G. Major Associates, Inc.
• Government credit cards are accepted as a form of payment for all purchases.We have the ability to meet your end-of-year money training requests. With COTS courses ready-to-go, your organization can fulfill your training requirements right now. For modified, tailored and customized courses (content, length) and training solutions, please give us a call. To schedule one or more courses for your organization, use our Contact Form or call us at 1-800-779-4007 or 703-642-7450.